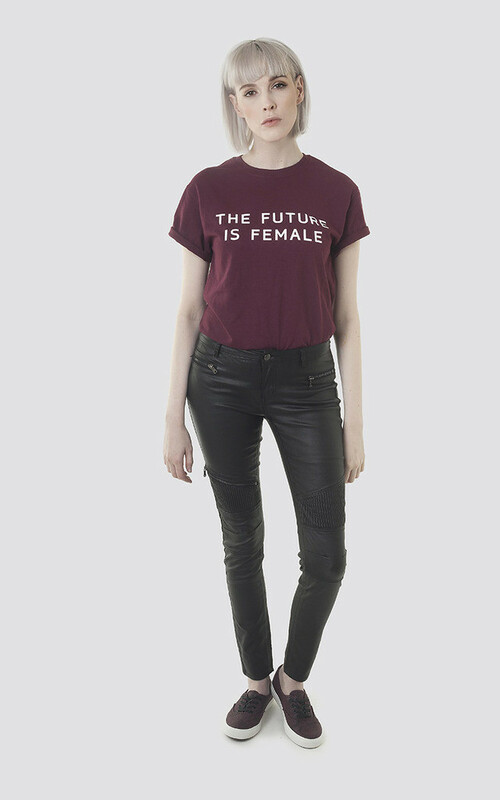 Show you are a true feminist in our ‘The Future is Female T-Shirt’. This slogan tee features short sleeves, a round neck and white slogan text on top of a on trend Burgundy . Style this with our faux leather Skinny biker jeans.